…many ads touted its virtue by saying things like “No baking! Simply add boiling water!” and “No recipe book required!”. That was in direct competition against the Knox product, which had already been distributing recipe cookbooks to housewives showing them how to make gelatin using their crystallized gelatin packages for some time. Desperate in the face of lackluster sales, the makers of Jell-O decided to publish their own cookbook, filled with Jell-O recipes for housewives. However, here’s the key difference: unlike Knox, whose cookbook was available in grocery stores, Jell-O salesmen delivered their cookbook door to door, giving it away for free to the people they wanted to reach the most. And this worked. 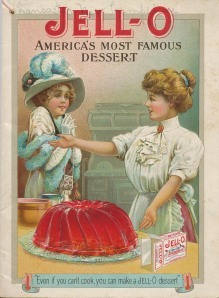 The Jell-O Cookbook story is often referenced as a terrific lesson in smart content marketing and, of course, it is. The cookbooks (by both Knox and Jell-O) gave housewives two things a century ago: 1) good ideas of what to make for dinner, and 2) good reasons to buy gelatin. But when you get into the details of the story (of how Jell-O managed to unseat Knox and become the dominant gelatin brand), really it is a lesson not just in content marketing but in distribution. And it’s a lesson for anyone using content today to extend their reach online. A surprisingly large number of people operating online today still appear to be holding onto the false promise of the early Web: if you build it they will come. While that statement could be true for some, for most it never is (never was) true enough. In most instances, web properties (blogs, websites, etc.) don’t get the traffic people want or expect them to get. ...today you can actually take your work, your expertise, your message, to people where they gather. As we’ve morphed from those early Web days to today, distribution has in no small way become a very meaningful answer to the "If you build it..." problem. Unlike 1995, today you can actually take your work, your expertise, your message, to people where they gather. It’s a proactive way to ensure audience — and to begin the types of relationships you want with your readers. 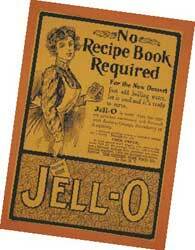 One hundred years ago, instead of waiting for housewives to buy a cookbook that they might or might not see when they next happened to be in a grocery store, Jell-O created their own visibility. They delivered the cookbook, door to door. Likewise, today, instead of waiting for people hopefully to find and read your content, smart distribution puts your work in front of the people you want to reach. ...smart distribution puts your work in front of the people you want to reach. Of course, lawyers are not selling boxes of flavored gelatin. Your clients, your service, and how you develop business are much more sophisticated than that. However, the content strategy lesson still holds. Among our clients (law firms delivering their lawyers’ expertise online), we see all of the things you’d want to see from good content online: mainstream media pickup, links and references in industry blogs, social sharing by clients and prospects, invitations to speak at conferences, queries to write guest columns for member newsletters, networking connections, requests for more information on a matter, and – yes – new clients. In short: we see business growth on behalf of our clients. All of these networking benefits of expertise marketing, and others, come because the content is … visible. People are actually seeing it. And that’s, in no small part, because it is delivered.